Today we are reviewing an established neighborhood in Cedar Park, Texas, called Gann Ranch. We feel that this community is desirable to a broad spectrum of residents due to it’s ease of access for commuting to anywhere in Austin, it’s proximity and walk-ability to elementary and middle schools, and it’s overall quality of life for homeowners. This community lies in a convenient location in Leander off of New Hope Dr (which connects to the 183-A toll road for an ultra-easy commute!) Gann Ranch is north of Carriage Hills, south of Crystal Falls, and west of Lakeline Ranch. Here are a few pictures we took of the community and it’s amenity centers. 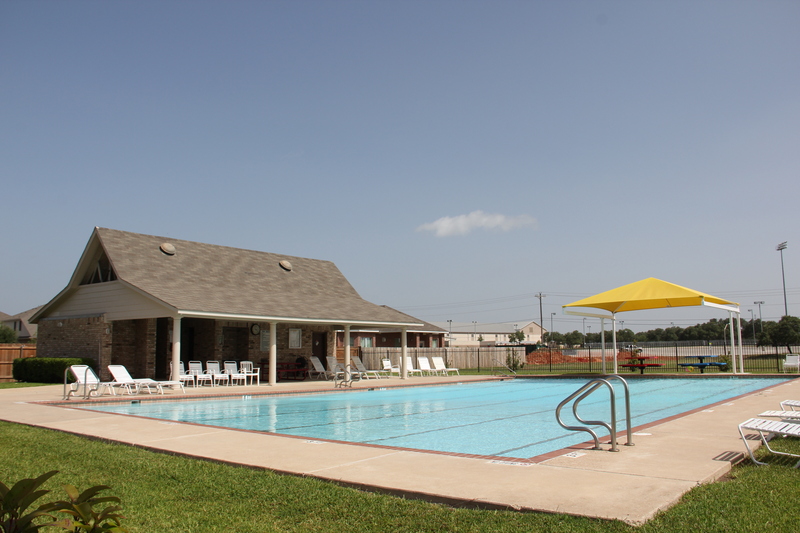 Residents of the Highlands at Gann Ranch have access to a beautiful amenity center complete with a sparkling swimming pool, covered pavilions, private restrooms and more. The playground area is also shaded with canvas sail covers so the kiddos can enjoy a day at the playground while being shaded from the warm Texas sun! After spending some time in Gann Ranch, it’s easy to see why so many people choose to call this neighborhood their home. It’s very easy to get here with the toll roads. Once you’re here, there is ample shopping and entertainment options nearby, including: the 1890 Ranch shopping center (that features a ton of shopping and dining options such as Longhorn Steakhouse, Buffalo Wild Wings, Natural Grocers and a Starbucks to name a few), a Wal-Mart and an H-E-B grocery store. One of the greatest features of this neighborhood is for parents of young school-age children: Knowles Elementary and Running Brushy Middle School are literally adjacent to Gann Ranch on a closed street (it only connects to a main road on one side and the road dead-ends at Knowles Elementary!) There is a sidewalk hidden behind a cul-de-sac at the rear of Gann Ranch that makes it very easy to bring your kiddos to school without needing to pack up the car and drive them. For more information about this community and to take a tour of some of the available homes for sale in Gann Ranch, contact us today!